According to the official Labo website, this new offering will be available from April 12. There will be a starter set alongside two expansion sets. You will also have the option to buy the full kit for $ 80 USD, which will include materials to build all six of the VR Toy-Cons included in the other sets. 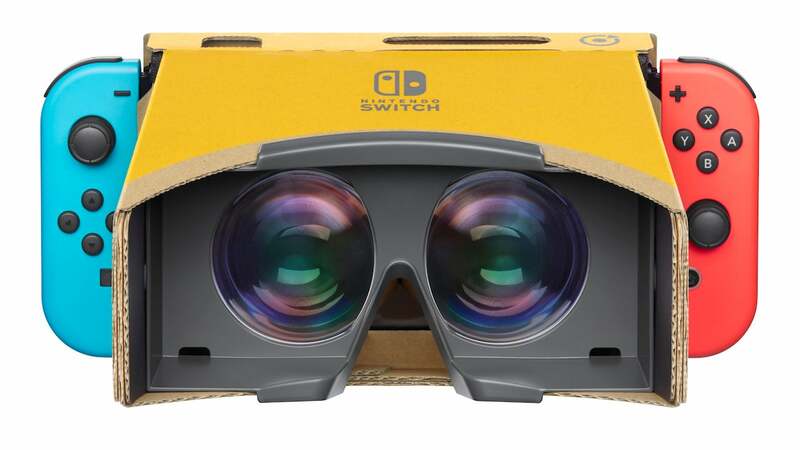 The starter set will retail at $ 40 USD and will include the materials to build the VR Goggles (which look like a housing for the Switch similar to Google Cardboard) as well as the Blaster Toy-Con (which appears to be a gun-shaped accessory). It also comes with a screen holder and safety cap so that games can be played in non-VR mode. The expansions set will go for $ 20 USD each with the first featuring a Toy-Con Camera and Elephant while the second comes with the Bird and Wind Pedal Toy-Con. These expansions will only be available through the Nintendo website and you’ll need the starter set to access the software required for both expansion kits. If you haven’t got your hands on the previous Labo offerings the previous kits are all on sale for $ 40 at the moment. Labo is also available in some classrooms, helping kids learn basic hands-on skills.